Wine I drank, Random Summer Mix. Here’s a few recent wines I’ve had the pleasure of drinking. 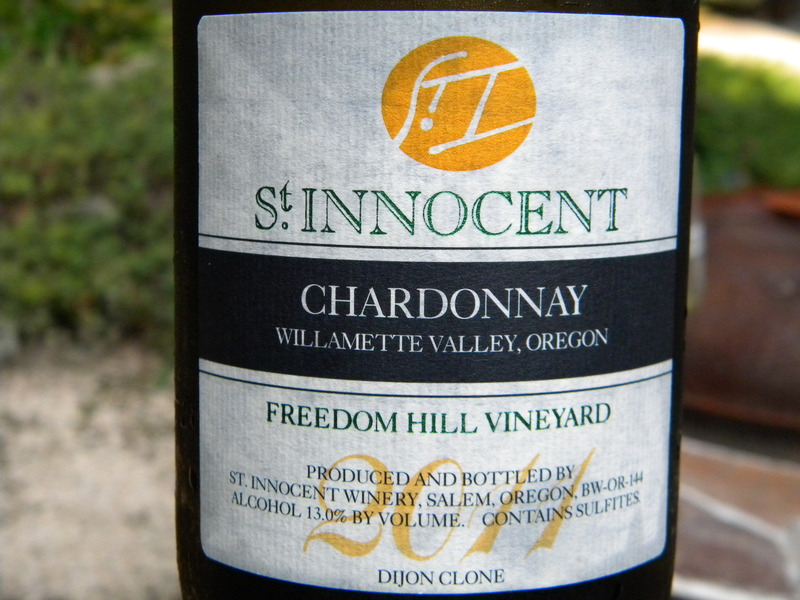 First up, this absolutely delightful 2011 Chardonnay from St. Innocent Winery in Oregon. Available locally at Tastings, this was enjoyed in a friend’s garden one fine summer afternoon. I’m not generally a fan of Chardonnay – too many of them are oaked to death, but this one was nicely balanced. It had a bit of a floral note on the finish. I also found the back label, with a wealth of information about where the vines are planted, how the grapes were crushed and more most informative. 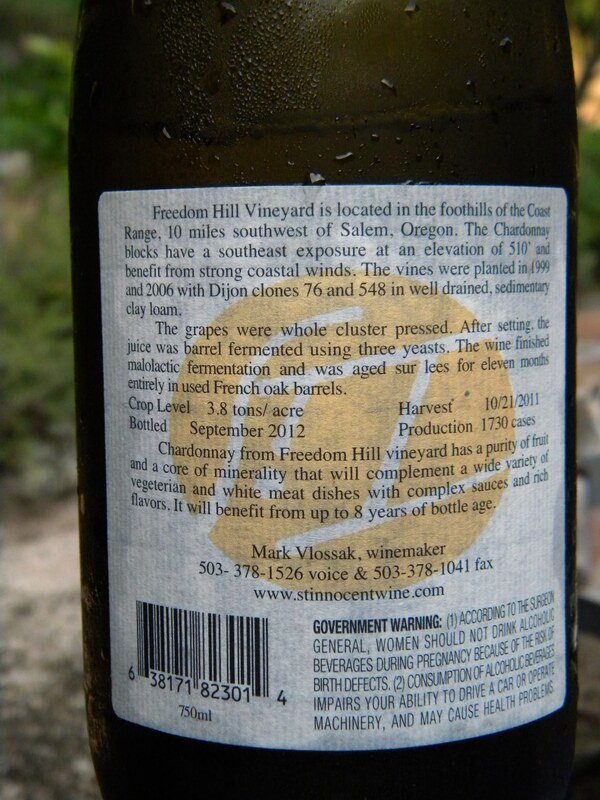 I love that the winery took the time to tell the story of this bottle of wine on the back label. 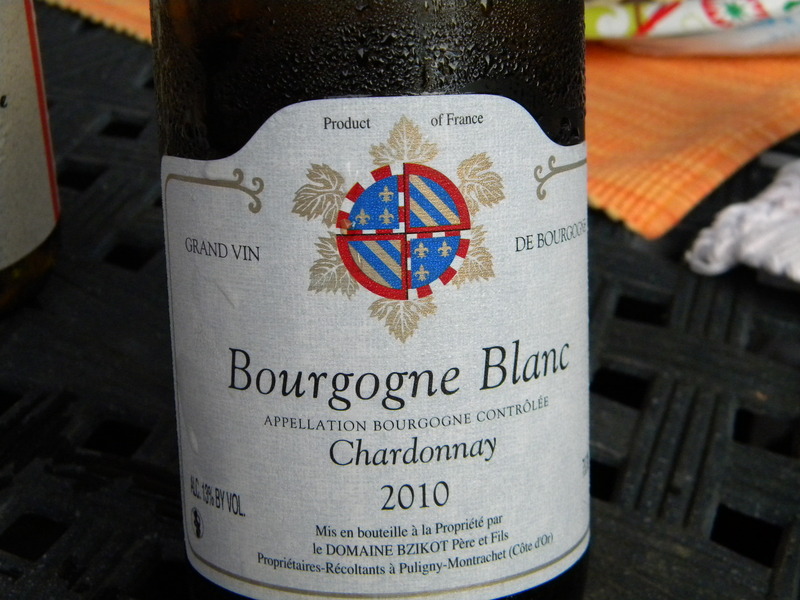 Another recently enjoyed Chardonnay was Bourgogne Blanc from Domaine Bzikot. This wine comes from one of the largest Premier Crus in France. The region this wine hails from sets the world wide standard for Chardonnay and this particular vineyard is considered to be one of the best. I loved this wine. It is everything a white Burgundy should be – just an absolutely lovely wine. Perfectly balanced with floral and mineral notes, it pairs as well with food as it does on it’s own with no food. Thank you for sharing this one with me Straz. I very much enjoyed it. This Pinot Noir, Cabernet Franc & Négrette Rosé blend is light, crisp & fruity – perfect for sipping on a summer evening. 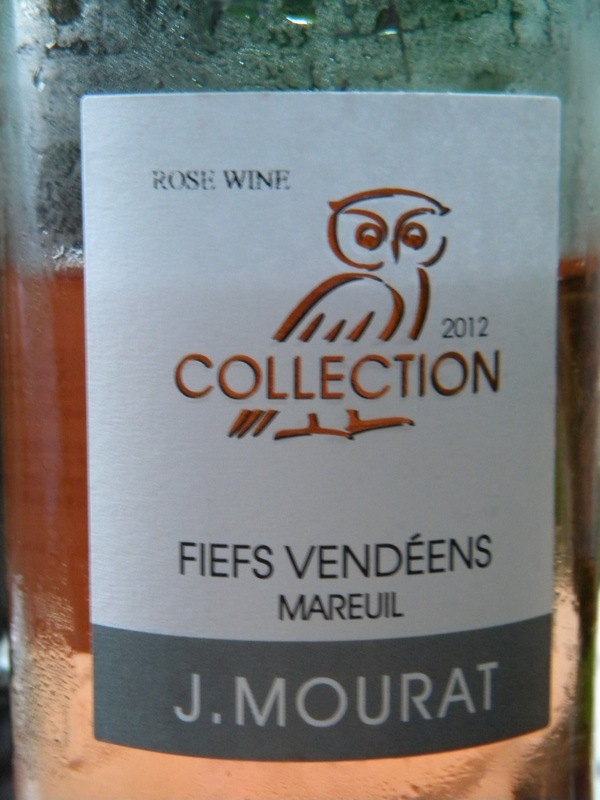 Produced by J. Mourat in the Fiefs Vendéens region of France, Mareuil is a subregion, located on the West central coast of France. I neglected to get a shot of the entire bottle, which is rather unusually shaped for a wine bottle. Click here for a better image of it. This wine is available locally at Market Street Wine Shop. 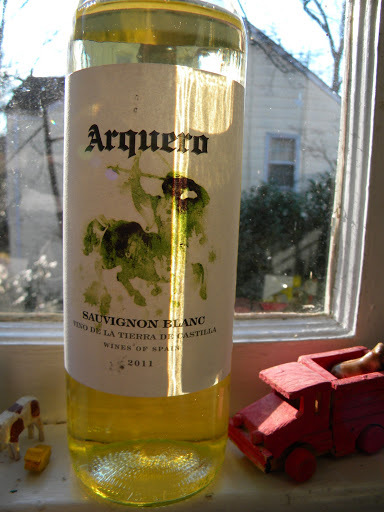 Before you start thinking that I’ve seriously upgraded in the wines I drink, I’ll have you know the house wine this summer was the Arquero Sauvingon Blanc I blogged about last March. At the time, I said it sold for about $7.99 and I had found it at Kroger, Whole Foods & Reid’s. I can report that it is $8.99 at Whole Foods and regularly sold for $7.99 at the other two outlets. However, the reason it became the house wine was that Hydraulic Road Kroger (it is not carried at the Barracks Road store) has had the wine on sale most of the summer for the bargain price of $5.39. At that price, every time I ran in for a gallon of milk, I’d find myself grabbing a bottle or two. I’ve recently noticed it for a similar price at Reid’s. 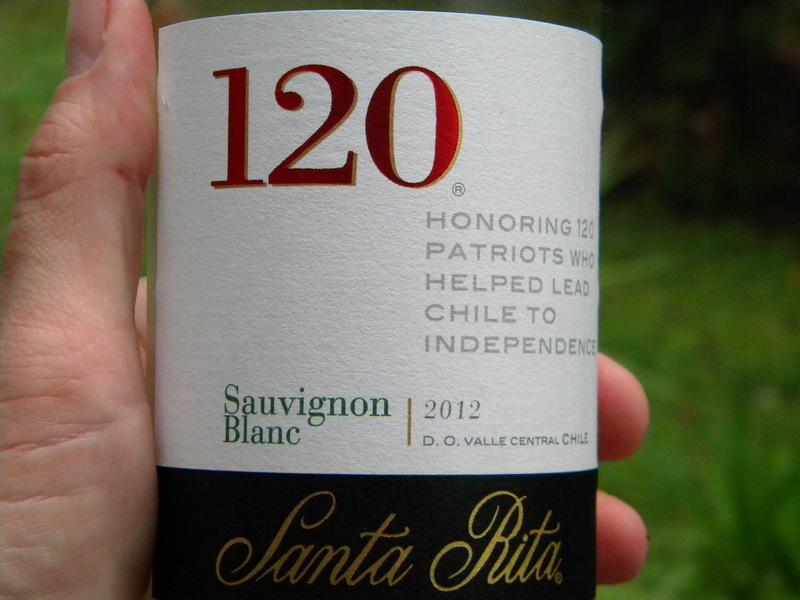 Speaking of grocery store sale wines, The Santa Rita 120 label Sauvignon Blanc has been on sale at Barracks Road Kroger this summer, finding it’s way into my cart as it’s highly drinkable with a easy on the wallet price of $6.99. I’m not kidding when I say I drink New Zealand style Sauvignon Blanc like lemonade during the summer. The best deal however, has been boxed wine- particularly Virginia Wineworks. This was a box of their Cabernet Franc, which is a stand out grape for the Virginia wine industry. It’s fruity and soft, a nice summery red, although I can drink Cab Franc any time of year. 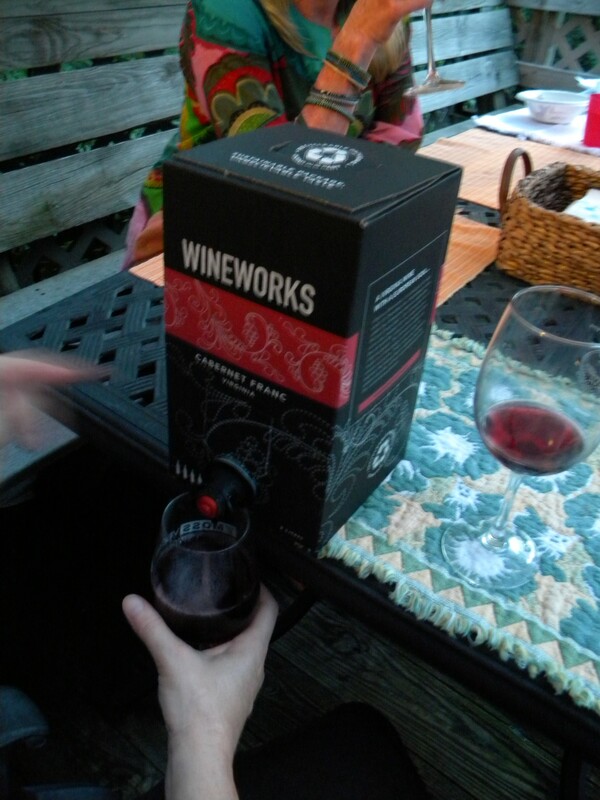 Boxed wine is getting more respect from winemakers these days, as can be attested to the fact that respected winemaker Michael Shaps is now utilizing the previously disdained packaging method. The plastic bladders can hold four bottles of wine, are far easier to store in the warehouse and the spout means oxygen doesn’t get into the wine, keeping it fresher longer. You don’t have to walk around singing, “It’s my wine in a box” to the tune of Justin Timberlake, but it does make for some fun. It was quite nice. Oregon makes some absolutely lovely wines you lucky duck you. I totally want to drink wine now. And I don’t mind it in a box, with a fox, on a chair, in my hair.